Content Summary: Newsclippings, articles and other materials by or about a controversial figure in the Southern Presbyterian Church. The Rev. Hay Watson Smith had adopted strong views in favor of the theory of evolution and the resulting ecclesiastical case set precedents which made it difficult, if not impossible, to pursue discipline on doctrinal matters in the PCUS thereafter. Preferred citation: Hay Watson Smith Synthetic Collection, PCA Historical Center, St. Louis, Missouri. Administrative History: Most of the materials in this collection were gathered by Jeffrey Brannen, then a student at the University of Central Arkansas, in preparation for a senior thesis, specifically files 6 – 14 and 24-25. Additional materials, in files 9, 16-18, 20 and 23 were provided by Dr. Sean Michael Lucas [02/19/08]. Most recently, an original copy of Evolution and Presbyterianism was added to the collection 27 March 2015.
ƒ02—Arkansas Democrat, 1927, Various articles appearing in February issues, including 1. "House Renews Fiery Battle On Evolution," [3 February]; 2. "Second Open Meeting Held On Evolution: No Decision Reached at House Committee Hearing," [3 February]; 3. "University Students Protest Anti-Evolution Measure in Letter Sent to Legislators," [3 February]; 4. "Anti-Evolution Bills Opposed By Committee: Only One Member of House Body Signs Minority Report," [4 February]; 5. "Anti-Evolutionist Challenges Debate," [5 February]; 6. "Evolution Issue Will Be Debated," [8 February]; 7. "House Delays Final Action On Evolution: Rotenberry Measure is Made Special Order for Wednesday," [8 February]; 8. "Evolution is Debate Subject: Crowd Hears Discussion By Minister and Attorney," [9 February]; 9. "Finish Fight On Evolution Before House," [9 February]; 10. "Bill Is Tabled Upon Reaching Upper House: Rotenberry Plan Lost in Chorus of 'Noes' on Viva Voce Vote," [10 February]; 11. "Anti-Evolution Laws Opposed By Churchmen: Methodist Educators at Memphis Meet, Say Move Hurts Cause," [11 February]; 12. "The Senate Rises to the Occasion," [11 February]; 13. "Disposal of Anti-Evolution Question Is Most Important Action of House During Week," [13 February]; 14. "Senate Deals Death Blow to Reconsidering,"
ƒ08—Bibliography for Hay Watson Smith. ƒ09—Biographical entries from Arkansas and Its People—A History, vol. 3, pp. 207 and Centennial History of Arkansas, pp. 839.
ƒ10—Biographical Entries, from Arkansas & Its People, Volume 3, page 217; etc. ƒ11—Brannen, Jeffrey, 2004, "Hay Watson Smith and the 1927 Anti-Evolution Legislation in Arkansas: An Investigation of a Modernist Presbyterian in a Conservative Church and State." ƒ12—Coleman, Charles T., et al., 1927, "The Charge, The Facts, and The Resolutions"
ƒ15—McJunkin, J.E. (James Eugene, 1881-1948) and A. Killough (Algernon, 1894-1977), "Evidence showing that the findings of the Commission of Arkansas Presbytery, appointed in 1929 to investigate the rumors touching the doctrinal unsoundness of Rev. 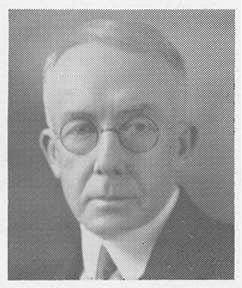 Dr. Hay Watson Smith, were in direct contradiction of plain, abundant, and incontestable evidence in the hands of said Commission, which evidence showed that said rumors were well-grounded; and that the actions of Arkansas Presbytery in 1929, and again in 1931, based upon said report of its Commission, were in violation of the [PCUS] Book of Church Order, Paragraph 183." ƒ35—Report of the Little Rock Vice Commission, May 20, 1913, and the Order of May Chas. E. Taylor to close all resorts in Little Rock by August 25, 1913. See the note at the bottom of page 2: "The commission desires to express its appreciation of the work of its Secretary, the Rev. Hay Watson Smith, who prepared this report."